A Research and Training Programme on Marine Biotic Indicators of Recent Climate Changes in the High Latitudes of the North Atlantic. CASE (the Changing Arctic and Subarctic Environment) is an Initial Training Network on marine environment and climate change funded by the European Commission within the 7th Framework Program People. 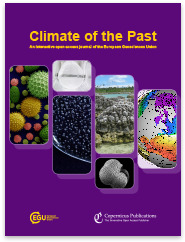 9 contributions were submitted to the CASE-dedicated Special Issue of Climate of the Past before the official August 31st, 2013 deadline. They cover a wide spectrum of topics and proxies, still within the scope of CASE research themes. Title: "The Changing Arctic and sub-Arctic Marine Environment: Proxy and Model Based Reconstructions"